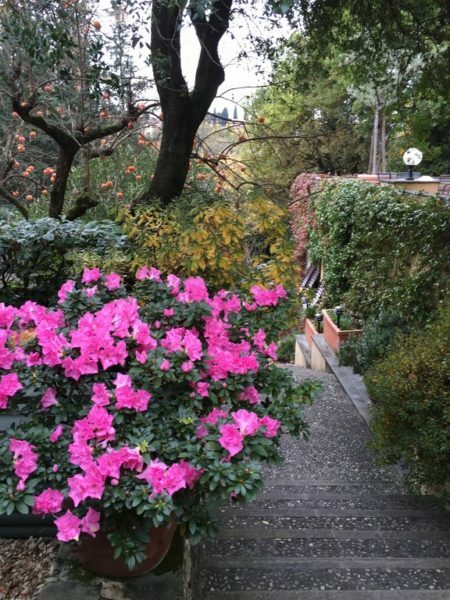 A beautiful villa in San Domenico, in the municipality of Florence, with a commanding position accessed by a large iron gate and private tree-lined driveway. This excellent maintained property is on three levels and has plenty of parking spaces. The downstairs living room level has access to a stunning terrace and swimming pool. The upper floors contain the sleeping quarters and bathrooms above which is a tower holding a wonderful study with panoramic views. The property is complete with two outbuildings, an apartment of 110m2 and a studio apartment. Both with independent access from the villa. If you are interested in making an enquiry into this property, your email will be directed to Alessandra who is available to answer any question. Click Here to review our Real Estate Agency’s Privacy Statement. We use this agency to sell the properties listed on the Doorways to Italy site. Opening the doorway to the love & romance Italy has to offer.